Grapevine Faith Christian prides itself in being a well-rounded athletic program that looks for opportunities to be involved with the community. The school decided it wanted to expand its football program by hosting evening games. 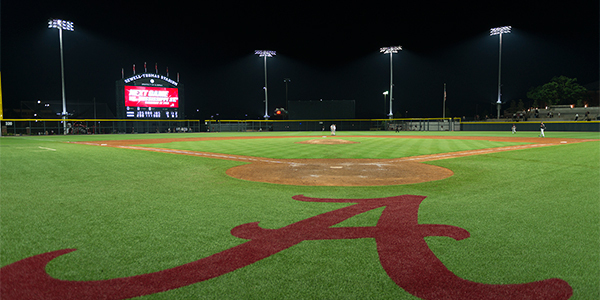 But while the stadium’s proximity to the area neighborhood provides a community atmosphere, it also presents many challenges to lighting the field without disrupting area residents. To meet the needs of players, area residents, and the city’s lighting ordinance, Musco’s team met with city officials and the local home owners’ association to custom design an LED sports lighting system. 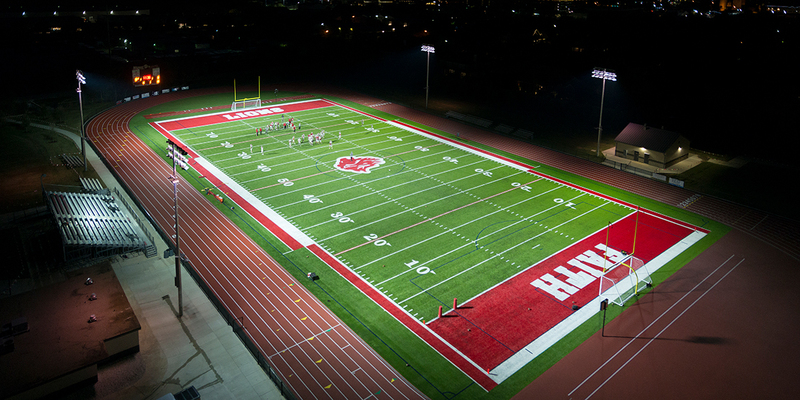 Musco’s Light-Structure Green™ LED system provided a complete solution from foundation to poletop. 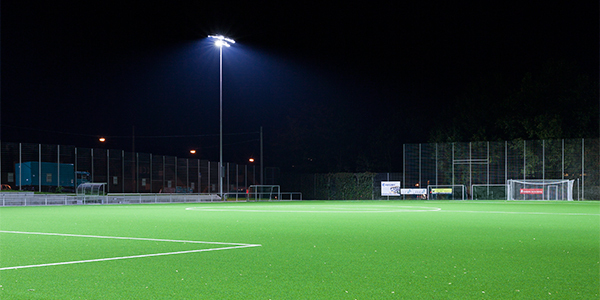 With Musco’s patented optics developed around the LED light source, the system provides a more focused light on the field and not into the surrounding neighborhood. The new system reduces energy consumption by 60 percent compared to typical HID lighting equipment. Operating costs are further reduced with Musco’s 10-year parts and labor warranty which eliminates maintenance over the next decade. With Musco’s Control-Link® controls and monitoring system, the school is able to remotely schedule the lights via web-based software, a mobile app, and a 24/7 call center.